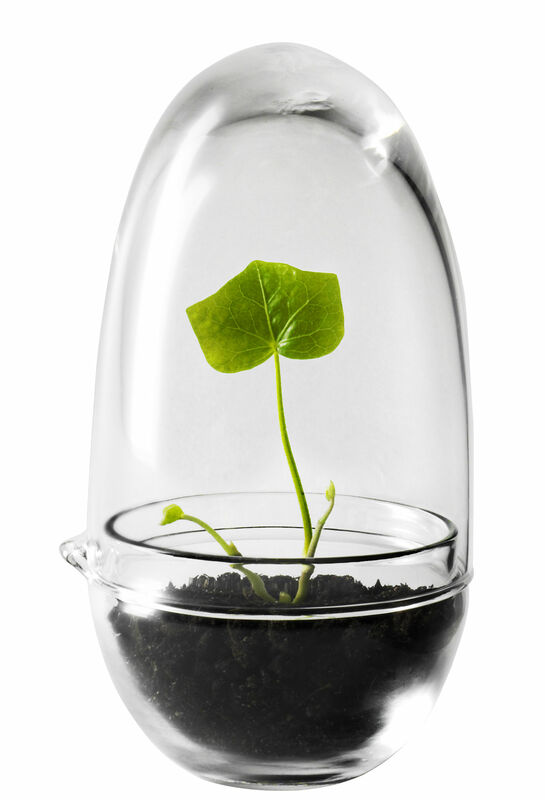 Leaving the ground and roots visible, this mini transparent glass greenhouse keeps it simple! 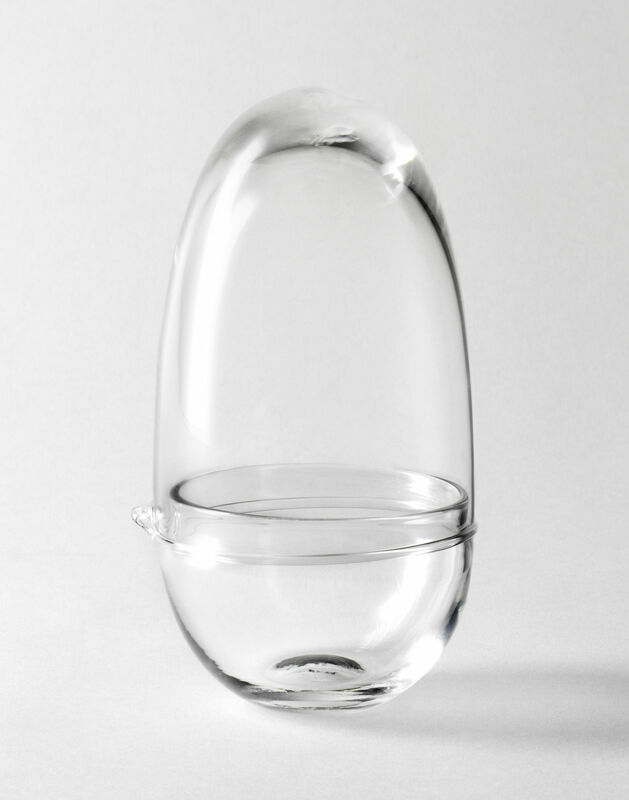 Your plants or flowers showcased in this minimalist bubble will look like precious museum pieces! Specially designed for flowers of smaller size or plants at the beginning of their life, this mini greenhouse optimises seed germination and plant growth. It will create an ideal environment and ensure optimal conditions by automatically regulating the temperature as well as humidity and oxygen levels. Grow consists of two detachable parts. The lid is equipped with a spout and can therefore serve as a watering can, too.